Boeing responded with "“Boeing is not suing Canada. This is a commercial dispute with Bombardier, which has sold its C Series airplane in the United States at absurdly low prices, in violation of U.S. and global trade laws. Bombardier has sold airplanes in the U.S. for millions of dollars less than it has sold them in Canada, and millions of dollars less than it costs Bombardier to build them. This is a classic case of dumping, made possible by a major injection of public funds." OK so that is the root of the problem. Why in God's name would we sell a product to the United States for less than it cost us to make it? That is bad business. Bombardier has a very long history of getting government bailouts. In 2015 CBC reported that "Bombardier loses $4.9B US in 3rd quarter; Quebec to invest $1B US in CSeries program." 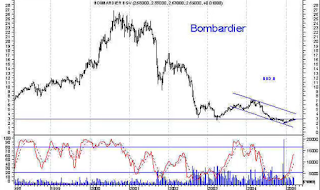 In February 2016 Zero Hedge reported that "Bombardier Thanks Canada For $1 Billion Bailout By Firing 7,000 People." March 2017 the National Post reported that "Bombardier’s top execs get almost 50% pay raise as company lays off thousands, taps government aid." Bombariad is a company like unto Lockheed Martin and SNC-Lavalin. They are all dirty as f*ck and burn tax dollars like an incinerator while top executive line their pockets with tax dollars. Boeing on the other hand is a legitimate reliable pillar in the private industry. Boeing makes money consistently. It's not embroiled in fraud like the others. The Super Hornet is the best product on the market for Canada. The F-35s don't work in the Canadian arctic but the Super Hornet does. 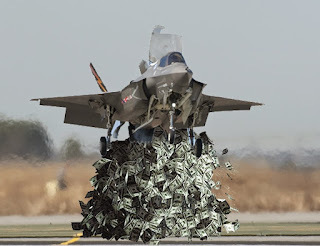 The F-35's are nothing but problems. If Canada wants to look at alternatives to the Super Hornet Russia is the only other logical option. The MIGS have a long history of competence. I personally prefer the Super Hornet for obvious reasons. Boeing creates jobs in Canada. Last year they announced a new lab in Vancouver. We need to look beyond the court dispute and ask ourselves why are we selling products in the United States for less than it costs us to make them? That's like BC Hydro selling power to the US for less that what it costs us to produce it. That is bad business. I do have a solution - a merger. Boeing takes over Bombardier with the commitment to keep a plant in Quebec. Boeing can make Bombardier profitable. Paul Tiller and Moya Greene couldn't. "The F-35 was billed as a fighter jet that could do almost everything the U.S. military desired but has turned out to be one of the greatest boondoggles in recent military purchasing history." Wow...that's actually an awesome solution. Seriously. The reason Bombardier did all that stuff is this. While they may "lose" money, they don't really because as you say, Trudeau Light will just bail them out. The other reason is, with air frames the sale is just the beginning of things, spare parts and maintenance packages, upgrades etc, over a 20-30 year period can easily be double, triple the original purchase price. Or more, depending on how problematic the system we might be talking about it. The F-35 is an air frame more suitable for a country that will take a lead role in any major conflict. Canada likely will not. The F-35 can do amazing things but cutting edge comes at a price. A big one. Canada can't afford it. The Super Hornet is Canada's best "bang for buck" option. So, if we listen to where Trudeau Jr. is going here it looks like you guys get to keep flying what you've got until they fall apart. Hopefully not in mid-air. But that's OK, I'm sure his government will put all that money they now won't be spending on any aircraft to good use "elsewhere". Maybe some more entitlement spending to buy votes, which is pretty much how Paul Martin and the Liberals of 30 years ago got into power and stayed there for 15 years or so. Unfortunately nothing is better than the F-35s. In 2008 Canada contracted Russian helicopters to use in Afghanistan (http://www.financialpost.com/markets/data/canada+presses+russian+made+choppers+into+service/967090/story.html). There would be nothing wrong with buying Russian jets. Or better yet, Swedish or God-forbid, Canada turns to its fellow Commonwealth countries! Ideally, Canada would be best to build its own aircraft. Canada has a lot of qualified educational institutions with very good engineering programs and perhaps the graduates would like to stay in their own country instead of having to go overseas. The Avro Arrow is proof-positive that Canada has the capability of becoming the world leader in aircraft development. Even if Canada were to only produce airplanes for itself, it would be able to test them in the most extreme environments and ensure the aircraft are not only able to perform in the needed climate, they can be constantly and continuously modified and adjusted as needed to ensure the very best. Not to mention the obvious benefits of employing their own citizens, gaining the spending of those citizens staying in-country, giving an example to others to follow in Canada to benefit the country and help stop brain-drain, reliance upon others, national confidence and budget/revenue advantages. Yes it's unfortunate the Arrow never went anywhere. 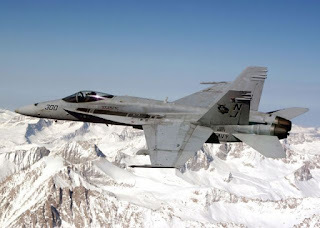 Perhaps if Boeing merged with Bombardier, they could build our Super Hornets in Canada. Sweden has some jets worth looking at. Anything is better than the F-35. Indeed. The only ones that would have a problem with that would be the fat cat management at Bombardier putting tax dollars into their own pocket. Boeing would keep all the workers and fire the fat cat managers on the take.